Are you dating a Gemini man or marrying one and you’re wondering if he will make a really great father to the children you want to have? Maybe you already have kids and worry if he will be good to your little ones. 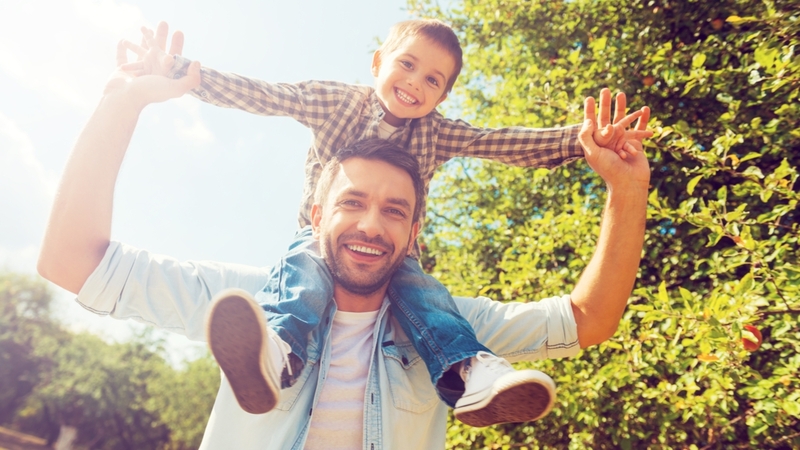 Whatever the reason, here’s what to expect from a Gemini man as a father of your kids. There is no doubt that the Gemini man is very loving toward his offspring. Even if he marries into a family where there are already children; he will get to know them and treat them like his own. He has a big heart when it comes to kids and he’ll absolutely love being a father. He’s caring, soft, sweet, and really wants his children to be happy. Since he’s one for excitement and living life to the fullest; he’ll want to instill this in his young. Gemini guy will be very loving toward his little ones. He will show them lots of affection and make sure they know they are well loved. Also, he would never want them to feel that he doesn’t care. He may have a hard time learning to create boundaries for the children to follow. He’s so easy going that he will have to learn when it’s time to put his foot down and explain why what they want to do is not a good idea. You as a mother; may need to be the one to be the disciplinarian as he doesn’t seem to have that skill naturally. He could learn over time from you but for the most part; he’s the softie. This is the type of man who has a gracious amount of patience when it comes to the young minds he’s working to raise. No matter what emotions get splayed from the children; he’ll understand them and act accordingly. He’s the type that if he sees his child touching something they’re not supposed to and yet they get hurt; he’ll run over and comfort them immediately. He’ll try to explain in a soft manner why they shouldn’t touch that ever again. Gemini man is very nurturing and cares for his young with the greatest of ease. He feels like they are an extension of him and therefore wants them to be upstanding and caring individuals. The Gemini man himself is one for excitement and a wide variety of ways to enjoy life. He will want to pass this on to his children. He wants them to understand that there is so much to experience and choose from for life fulfillment. If anyone can teach the kids how to enjoy life and join as many activities as they can; it’s the Gemini father. His heart is made of gold and he will show his young ones how wonderful life can be. It’s not at all uncommon for him to get his kids involved in various activities. He’ll let them choose what they are interested in but he’ll make sure they’re productive and busy in their lives. He knows the key to happiness is to do as much as you can with the time you are given. As a mother; you’ll need to implement balance as they have to learn that work; as well as play; are both important. The Gemini man will still need personal space though. He’ll need an “office” or room where he can separate himself from everyone and go get some solitude. As long as you as the wife; are there to facilitate that; everyone will benefit. The children also may learn the benefits of having their own “alone” time so that they know it’s Ok to do this when they are grown up. Being independent is a good thing but so is the balance. The Gemini man is often painted as the “friend” of the children. He can empathize with them and get to their level no matter what age they are. That is comforting to the growing minds. He not only wants to be their father but he wants to be someone the children know they can turn to when they need to talk about anything. This teaches them the importance of friendship and loyalty. He will have to remember though that he still needs to be “Dad” sometimes too. It’s easy for him to be the good guy, the guy that always says yes, and the guy that lets the kids do just about anything they want. It will become very important that you as a future mother; sit down with your Gemini man and make sure that you’re on the same wavelength in raising children together. He will no doubt; make a tremendously loving father. However; if you aren’t one for disciplining; you may have a problem going forward. One of you has to be in control of showing the children the consequences of their actions. To be productive and good people; they need to understand what is right and what is wrong. The two of you need to find the balance between your belief systems so that everything will go more smoothly. I hate to say it but you’ll have to be the one that comes up with rules for the children to follow as your Gemini guy isn’t going to be very good at doing so. He also will likely not be good at sticking to it. He can be too trusting of his children’s decisions which could cause disaster or problems to occur when the child or children decide to behave in a way that is destructive or hurtful. Again; you’re going to have to be the clear-headed mother that can make rules and make sure the children stick to them. You’ll have to be the one that gives them punishment when they break the rules. Before you go any further with your Gemini guy; you may want to read more about him to make sure he’s going to be the type of husband or father you want in your life. Learn more about Gemini men by clicking here. It may help you get to know him that much better.